Microsoft launched Microsoft Lumia 435 - dual SIM Windows Smartphone. Microsoft Lumia 435 has 4 inch WVGA LCS display and is powered by 1.2GHz dual core processor Snapdragon™ 200 processor along with 1 GB RAM and runs on Windows 8.1 OS. 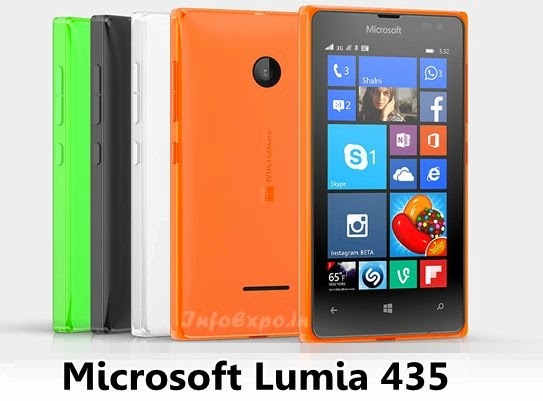 Here is the Specifications and features of Microsoft Lumia 435.